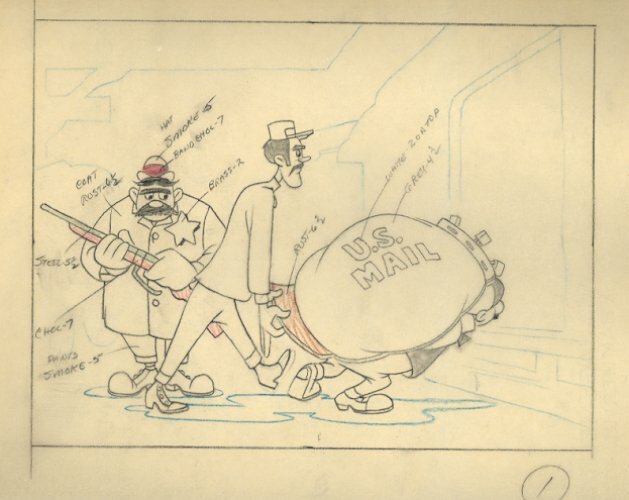 This is a fantastic original layout/publicity drawing from The Brave Engineer (1950). The graphite drawing is on vellum and taped to a scrap piece of animation paper. The entire piece measures 10" x 12" and the image measure 5.5" x 7".